David Hasselhoff joined his daughter and a group of Hollywood teens at Children's Hospital Los Angeles during Easter to visit the patients, and Look To The Stars was there. Hasselhoff’s daughter, Hayley, is one of a group of girls calling themselves Teens Helping Teens who are actively working to help sick children at the hospital. 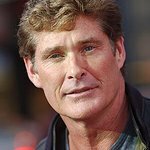 “Around Christmas, Teens Helping Teens noticed that the teens in the hospital were really lacking things to keep them entertained,” explains Hasselhoff. "The kids that have to stay in the hospital are often there for a really long time and a lot of them are in isolation wards and can’t really communicate with anyone but the nurses and their families. The girls of Teens Helping Teens went around and asked all these kids what they wanted the most to make their stay more comfortable and almost all of them said they wanted a computer or a PlayStation or something that would occupy them without risking them getting sick. “The girls decided that they were going to do something about it and have organized a huge Young Hollywood party that’s taking place in May. They’ve got Fred Segal doing a fashion show, Steve Aoki is going to DJ, and Rumer Willis is going to host. All the proceeds will go toward helping these sick kids feel a little bit better. They’re going to purchase Wiis, PlayStations, Macs and all sorts of things that will help these children get through their illness." The party – called The Bash – will take place at the Crustacean Restaurant in Beverly Hills on May 17. “What we are hoping is that people will come together in this time of crisis, especially in this economy, and put forward some donations, put forward some money, so eventually we hope this to become an annual thing where we can raise enough money to really benefit the Childrens Hospital,” said organizer Autumn Chiklis, daughter of Michael Chiklis. 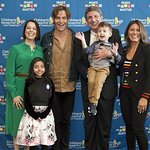 To watch Look To The Stars’ exclusive interview with David Hasselhoff and the young organizers of The Bash during their visit to the Children’s Hospital Los Angeles, click here.